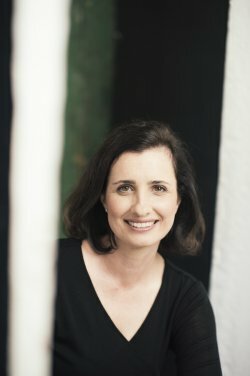 AOIFE CLIFFORD on "Inventing the Truth"
As my novel, All These Perfect Strangers, involves murder and intrigue at university, readers often ask me what I got up to during my years of studying. The truth is nothing nearly so interesting or illegal as my characters. Although my protagonist and I share the similar geography, moving from country towns to city campuses, all of the characters in the book are fictional, except for one. When I started Arts/Law at university it was before the Internet. This sounds prehistoric, even to me. It was a magical time when tweets came from birds and the only phone you could access would stay in the one spot, had to be fed continually with coins and was often broken anyway. In fact, the first person I knew of who had their own mobile phone was a fellow student who claimed to be the mistress of one of the richest men in Australia. This turned out to be true and her legal skills came in handy when challenging his will, but that’s another story. Hardly any students owned their own televisions and even fewer had a computer (which didn’t have email or internet access anyway) you could only find out what was going on in the world around you through gossip, reading an abandoned newspaper in the university cafeteria or catching a snippet of something on the radio. It was from the radio, if my memory is accurate, that I learnt of attacks being committed on or near campus by a masked man wielding a screwdriver. There were hardly any details given, just a couple of sentences using vague phrases such as ‘indecent assault’. We responded to it with the usual tact and nuance that first year university students are known for, nicknaming the assailant, the Screwdriver Man and treating him as if he was a made-up character designed by the adult world to ruin our fun. He became our own personal version of the Bogey Man or the Big Bad Wolf. The fact he only wielded a screwdriver as a weapon made it an even bigger joke. He seemed more likely to do DIY than GBH. Laughing about it with my friends in daylight hours was one thing but when I found myself walking alone at night near the place where an attack had occurred, I clutched my keys in my hand, making sure that the metal protruded through my knuckles ready to strike out if required and scurried past as quickly as I could. I was in a city I didn’t know and felt truly unsafe for the first time in my life. In the end, I rearranged my schedule so I wouldn’t have to walk by there at night again. Afterwards, I listened to the news to hear if there had been more attacks but after the first few, there was nothing. I didn’t know if this meant there had been others and I had missed the reports or the perpetrator had been caught or something else entirely. Twenty years later, when I began to write a literary thriller set on campus, I knew that what I wanted to capture was not a particular setting but rather the particular experience of being at university. The freedom of being responsible for yourself and no one else, the lack of money, the skipping of lectures followed inevitably by the pre-exam panic, the ability to reinvent yourself, the friendships, the stickiness of the carpet at the Uni Bar as your ear-drums bleed from watching your favourite band, only hanging out in the library because it had good heating and occasionally actually learning something that changed how you viewed the world forever. The technology may be unrecognisable but many of the issues of campus life that I experienced remain stubbornly the same. Violence on campus, problems with drugs and alcohol and the high incidence of sexual assault, are as much a part of current university experiences as they were in the 1990s when I attended. I had not forgotten my own fears about the Screwdriver Man and I wanted to explore the damage attacks like that do even when most people are treating it as a joke as I did. I felt some responsibility in taking something non-fictional and using it to serve my own ends. The victims didn’t need anyone else to tell their story for them. So I deliberately didn’t research or try to resolve what the truth of those attacks were, rather I relied on my own hazy and possibly inaccurate sense of them as a starting point. In the end, all I took was the weapon used and the nickname that it engendered. In my novel the Screwdriver Man is unmasked. All of us have our own collection of life’s little mysteries. Stories that we only half heard, experiences that never really made sense at the time and memories that seem to morph into something very different as the years pass. 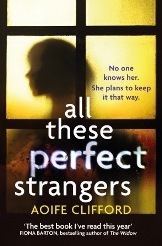 Writing All These Perfect Strangers allowed me to explore one of my own.